Learn about the Future with EC! It is time for another “Grain of Grammar” lesson! These short posts help clarify some of the most frequently-made mistakes in the English language. Whether you are an ESL student learning English in USA for the first time or a native English speaker, we hope you find these quick tips useful. Today we will be discussing future forms: “Will + base form” or “going to”? 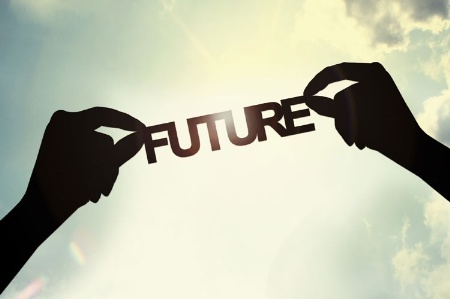 Students are always very confused by these two forms of the future, he is the trick: “Will” is used for future plans you’d like and “going to” is used for future plans you are pretty certain are going to happen. “I will have children one day” is something I know I want (plan) but not sure when it will happen or if it will happen at all. “I’m going to go to school this summer” I already applied or paid and I know for sure this is happening. But like every part of English there are exceptions! For example, if you see someone that needs help and you decide you are going to help them you don’t say: “I’m going to help you” – this we would use if we are planning on helping them later on. But instead you use: “I will help you” because in this case it means that you volunteer to do so. Looking for a Los Angeles English Center? Visit ECLA today!